The 21,000-square-foot Boathouse, topped by a tented Pavilion, towers 53 feet above Gathering Place's largest body of water and offers views of much of the property. If ever there were an installed-AV version of Where’s Waldo?, it might just be in Tulsa OK. 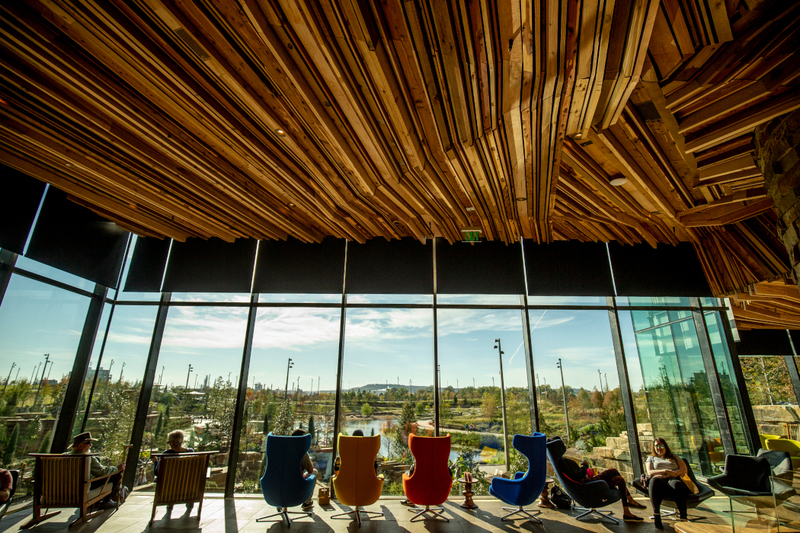 Gathering Place, the $465 million, 100-acre park whose first phase opened in Oklahoma’s second-largest city last September, funded by the Kaiser Family Foundation and designed by Michael Van Valkenburgh Associates (MVVA), is riddled with AV devices. You just have to find them…or not. At the same time, parts of Gathering Place will be made available for outside rentals, suiting corporate events, presentations and the like. As such, the AV had to be contemporary and robust. Tulsa OK’s Gathering Place is a $465 million, 100-acre park that’s filled with fun activities and eye-catching sights. Its first phase opened last September, and the spaces are riddled with AV devices. You just have to find them! As a first step, Dickerson and his team rewrote some of the initial AV specifications that accompanied the original designs, which they concluded were impractical for the scale of the project—for instance, replacing extenders that fell short on distance. Ford AV upgraded some of the key items, such as speakers, opting for more powerful Meyer Sound MM-4XPs, 33 of which are placed among rooms in two main areas—Williams Lodge and ONEOK Boathouse— that we’ll soon explore. Outside the Boathouse, 32 rock-encased speakers and six “shrub” speakers cover a children’s picnic area. 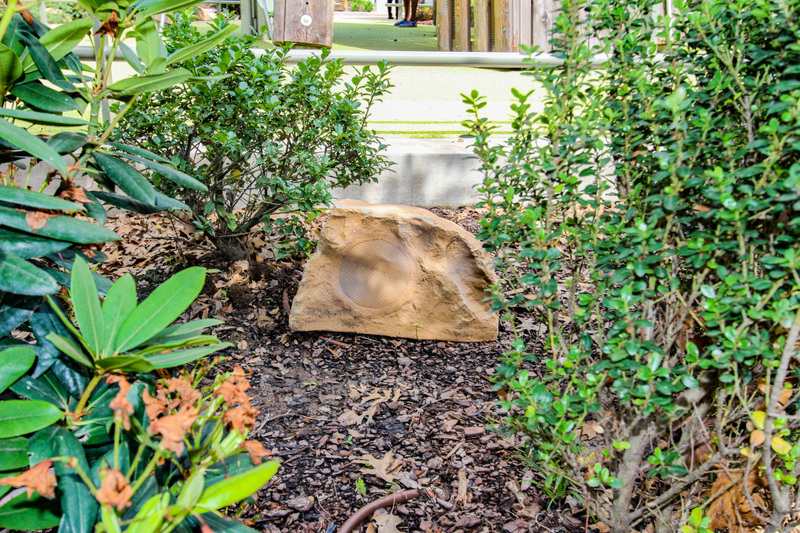 The faux rock casings are naturally waterproof. 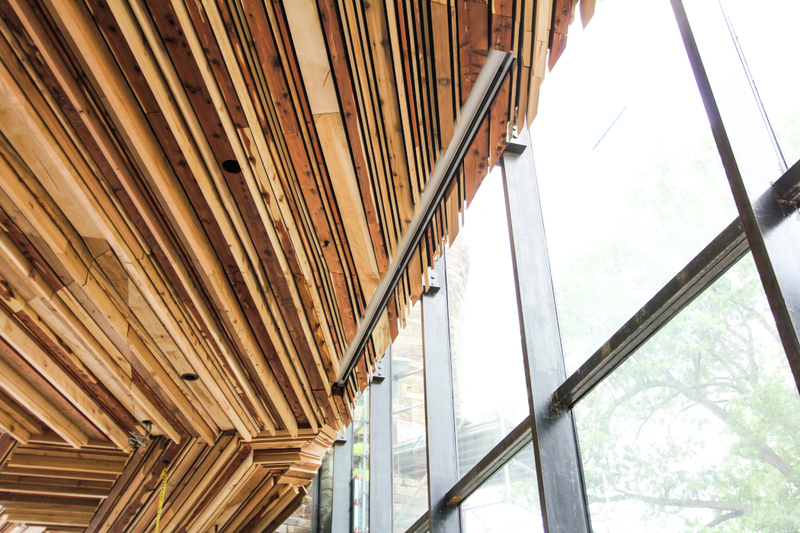 The building is boxed by two-inch-thick, floor-to-ceiling glass and topped by an undulating ceiling made with six species of wood that cost a reported $3 million. A number of Meyer Sound UP- 4XP in-ceiling speakers are inserted into the strands that make up the ceiling, some more closely resembling natural knotholes than transducers. Dickerson pointed to the brackets used to hold the Meyer Sound speakers in place in the Lodge, which had to be installed inverted to minimize the space they took up and let the speakers sit closer to the thatched wood strips. “They also had to be painted individually, [so as] to match the wood they are attached to,” he added. The Pavilion has 27 custom-painted Meyer Sound MM-4XP surface-mount speakers, creating an immersive ambience. Tannoy CMS 603DC BM speakers are installed in the Lodge’s lower-level restaurant and bar areas, part of the original design specifications. In addition, the Lodge has a 20-foot-wide drop-down projection screen. A projector lift was initially specified, but the ceiling’s height made that impractical; as a result, the still-to-be-acquired projector will instead be wheeled in on a cart. Once in place, it will be able to take in content from three floor-mounted input boxes and controlled via a Crestron DM-MD16X16 16×16 DigitalMedia switcher. The Parlor, another space located midlevel within the Lodge, is also intended for corporate rentals. It’s fitted with a Chief SL236SP projector mount and a 20- foot screen, as well as four Meyer Sound UP-4XP speakers and two floorboxes. Both spaces also have Shure ULXD4 wireless microphone systems. Two other key structures help define Gathering Place’s physical footprint. 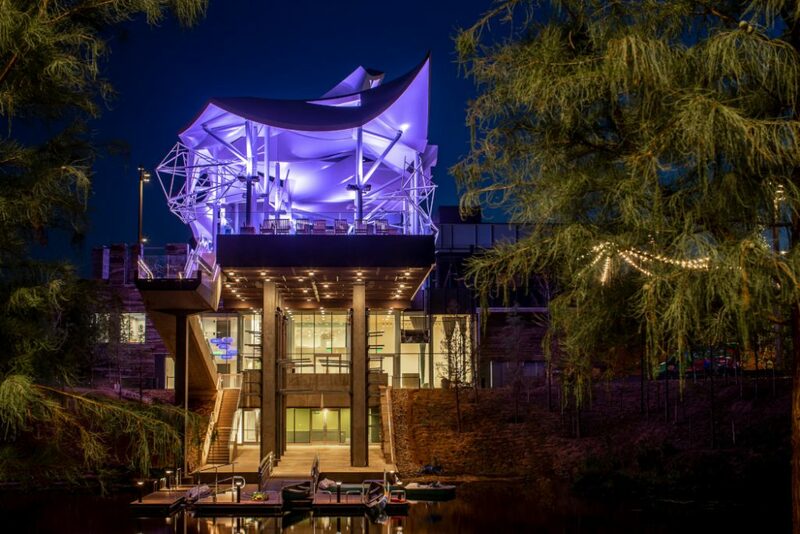 A community deck, known as the Boathouse, topped by a tented Pavilion, towers 53 feet above the venue’s largest body of water and offers views of much of the property. The 21,000-square-foot building has three levels: On top is the overlook, offering views of the park and downtown Tulsa, as well as the Vista Restaurant, which features fine dining inside and casual food outside; the second floor is dedicated to classrooms, activities and administrative offices; and a fully equipped dock is at ground level. Those speakers and the others, including a garden area that uses Meyer Sound MM-4XPs, take most of their content from a Crestron media server, located in a central intermediate distribution frame (IDF) closet. That space also contains the Crestron DigitalMedia control system’s matrix and the DSP for the Meyer Sound speakers, as well as the amplifiers for the Tannoy speakers and a Soundcraft Ui16 mixing console that’s accessed through a wireless iPad controller. Prior to installation—note the speaker wire hanging from one opening on the lower left side—the speaker holes resembled knotholes in the wood. In addition to the projection capabilities found in the Lodge and the Boathouse, there are also 55-inch Samsung OH55F digital signage displays installed outside The Patio restaurant, which show menu options and other dynamic information. In addition, inside the Lodge, an interactive Samsung display pays homage to Gathering Place’s donors. Just by virtue of its immenseness, Gathering Place is a work in progress, and it’ll likely remain so as the remaining 30 or so acres of the 100-acre park are built out. For instance, Wilson pointed out that a change order will add new speakers into Vista at the Boathouse, a new restaurant in the Boathouse opening this spring. (At the time of writing, make and model were yet to be determined.) “It was literally a change we made today,” he said, a prime example of the AV flux that will continue as Gathering Place evolves. As expansive as it is, Gathering Place also has to acknowledge its adjacency to urban Tulsa. 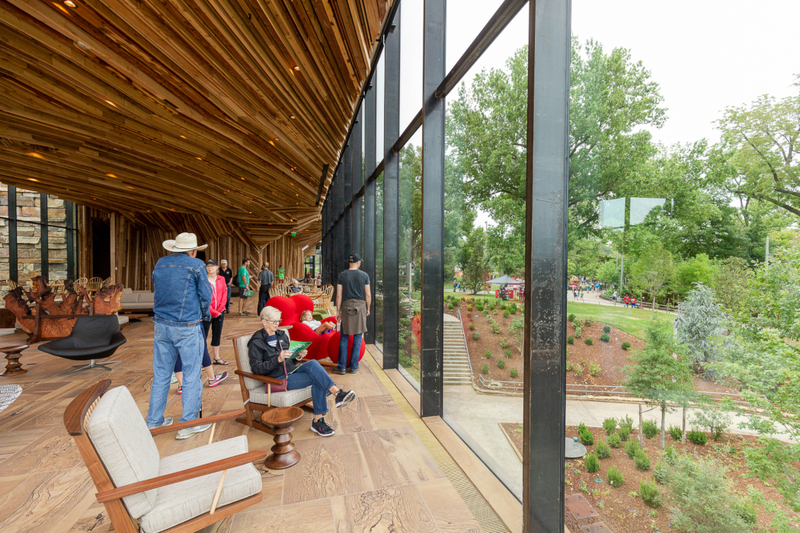 For instance, the park’s natural performance venue—a bowl area, called the QuikTrip Great Lawn, near the Boathouse—hosted Gathering Place’s grand opening concert, a show headlined by The Roots. The area, which can hold an estimated 5,000 people, will use in-house AV systems and a portable stage, as needed. However, Wilson revealed, shows will have to check wind direction, given how sound can be blown either north or south (toward residential areas), affecting the orientation of the sound systems. 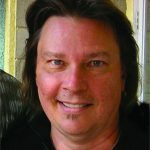 “We’re trying to keep Gathering Place as natural as we can, but we also have to be aware of how it can impact the areas it’s next to,” he stated. List is edited from information supplied by Ford AV.